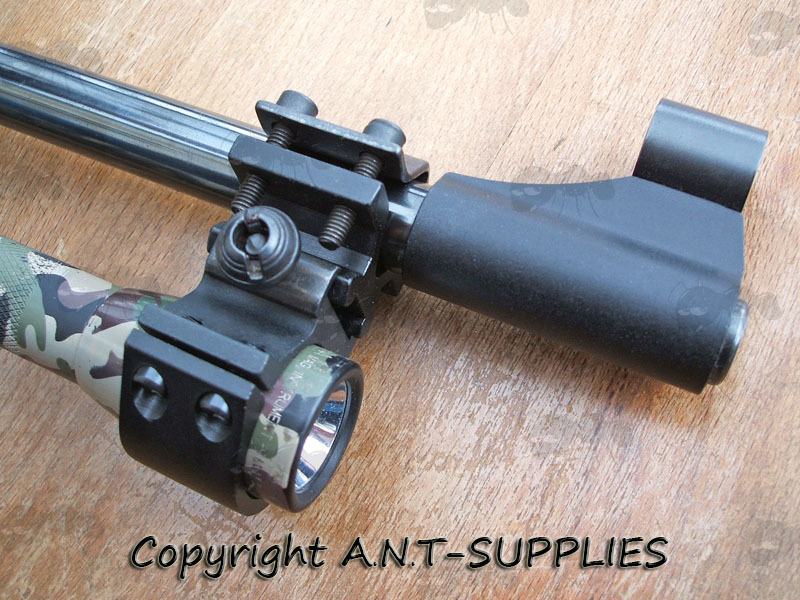 For mounting torches or lasers to rifle barrels. 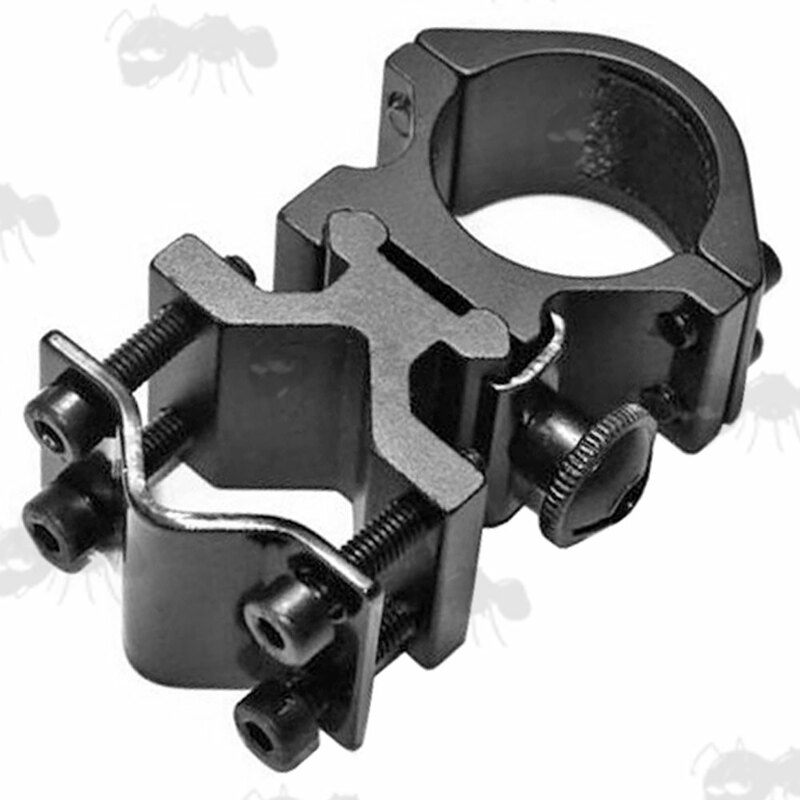 Adjusts for between 13mm to 18mm diameters. whatever you attach to the barrel or scope. other way around to attach a torch or laser to your scope. tape recommended for protecting when fitting barrel mount. 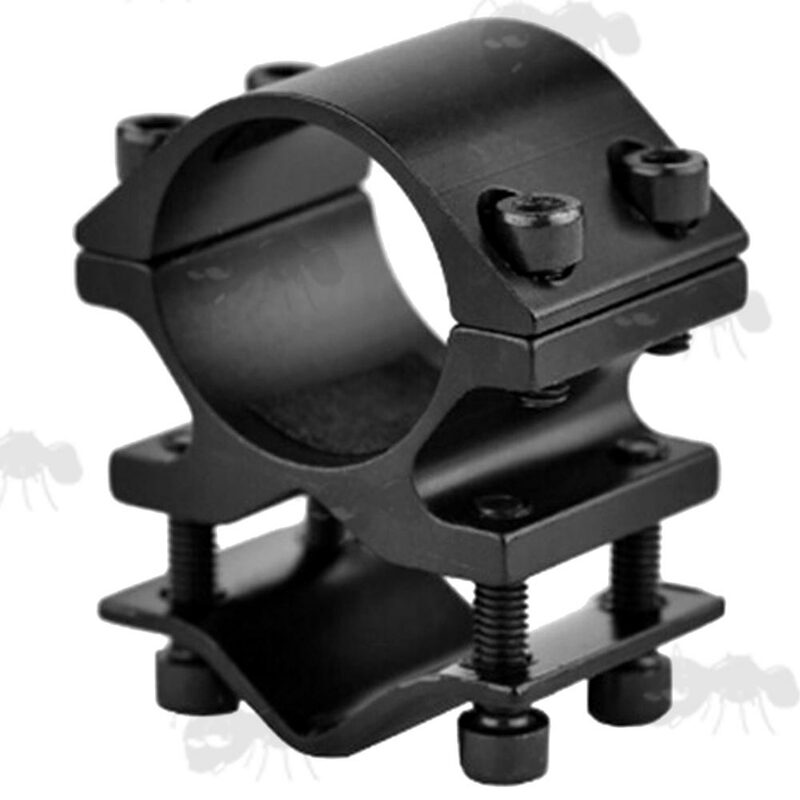 Can be used as a fixed mount for attaching a torch to your bike.